Data from 160,000 ranked chess players and more than 5 million chess matches suggest that women playing against men perform better than expected based on their official chess ratings, according to findings published in Psychological Science. The study results indicate that women players are not affected by negative stereotypes about women’s chess abilities during competition games, in contrast with previous research on the phenomenon of “stereotype threat” which has suggested that awareness of negative stereotypes can hamper women’s performance. “These findings show that even famous psychological phenomena may not be present all the time. 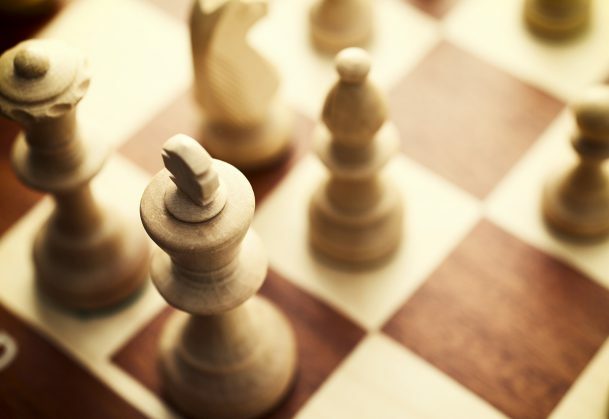 Factors other than stereotype threat appear to be more important in determining men and women’s tournament chess performance,” says psychological scientist and study author Tom Stafford of The University of Sheffield. “Looking at such a large real-world sample allows us a lot of confidence that our numbers are reliable,” Stafford adds. Being aware of a negative stereotype is thought to make individuals more anxious, more self-conscious, and less able to suppress negative thoughts – outcomes that ultimately hamper their ability to perform the task at hand. To investigate this phenomenon in the real world, Stafford analyzed data from standard tournament chess games played between rated players from January 2008 through August 2015. The FIDE rating system continuously incorporates game outcomes to update players’ ratings. These ratings can be used to predict who will win in a match between any two players. In total, the analyses included data from 150,977 men and 16,158 women playing in 5,558,110 games. Overall, men had a slightly higher average FIDE rating than women. But the game outcomes indicated that women won matches against men more often than would have been predicted given each player’s rating. This pattern held across the whole range of rating differences. “The news is good for female chess players, of whom there are exploding numbers. Although discrimination is real and pervasive, women playing tournament chess do not seem to be at a disadvantage when paired with men,” Stafford says. “This study of one social attitude in one domain—gender stereotypes in chess—does nothing to disprove the reality of discrimination generally, but it does suggest that this one mechanism, stereotype threat, may be more limited in its applicability than one might conclude from reading the experimental literature alone,” Stafford concludes in his research article.